North Korea could already possess up to 20 nuclear warheads and have a capacity to double its arsenal by next year, according to Chinese nuclear experts, the Wall Street Journal reports. Previous US estimates had put the total between 10 and 16. In April, the head of the US Northern Command and North American Aerospace Defense Command, Admiral William Gortney, said the US military believes Pyongyang is capable of launching an ICBM with a nuclear warhead from a hard-to-track mobile launcher at the US West Coast. “Our assessment is that they have the ability to put a nuclear weapon on a KN-08 [ballistic missile] and shoot it at the homeland. We assess that it’s operational today, and so we practice to go against it,” Gortney said. At the start of 2015 the US-Korea Institute at the John Hopkins University presented three scenarios of North Korea’s stockpiles expansion, estimating that they could climb to 20, 50 or 100 in the next five years. The report also stressed that North Korea’s neighbors are the ones facing the biggest threat from its arsenal, while Pyongyang’s capability to strike the US remains questionable. “North Korea’s current delivery systems consist of about 1,000 ballistic missiles and a small number of light bombers able to reach most targets in South Korea and Japan,” said a paper titled 'The Future of North Korean Nuclear Delivery Systems' published on 38nort.org. However, to pose a direct threat to the US, North Korea would need foreign technology and upgrades, the report mentioned. 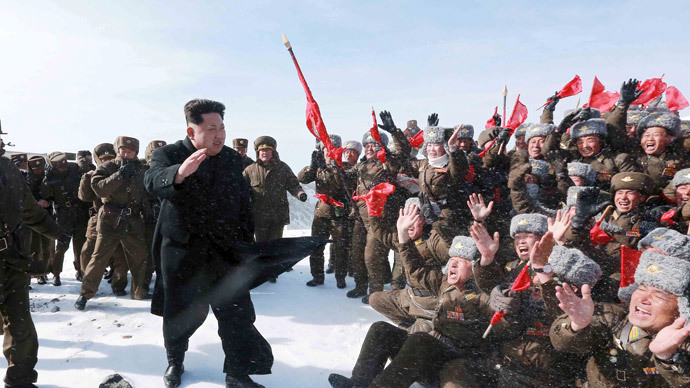 North Korea has conducted three separate nuclear tests sine 2006. The most recent took place in February 2013. The nation has indicated that it might hold more tests in response to a United Nations resolution condemning human rights in the country. On Wednesday, the US and South Korea also agreed to a new nuclear-energy cooperation pact that gives Seoul the green light to carryout nuclear research but stops short of allowing the country to produce its own fuel. This follows a move in late March, when the US military deployed another 400 soldiers with multiple-launch rocket systems to South Korea.